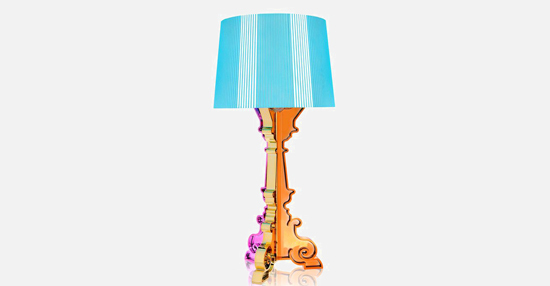 A lamp with an inimitable style, Bourgie is one of Kartell’s best sellers, skilfully combining classic style, richness and tradition with innovation and irony. 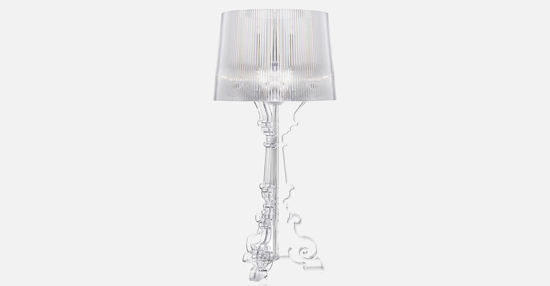 The baroque style base is composed of three interconnecting decorated layers, while the large lampshade is made with a pleated effect, to create a myriad play of reflections when the lamp is turned on. The lamp shade’s unique attachment system makes three different heights possible which can be adjusted according to the desired use: 68, 73 and 78 centimetres. 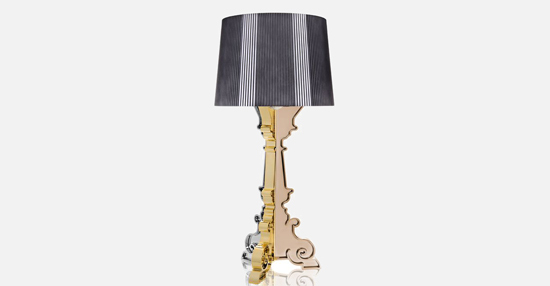 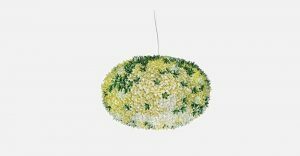 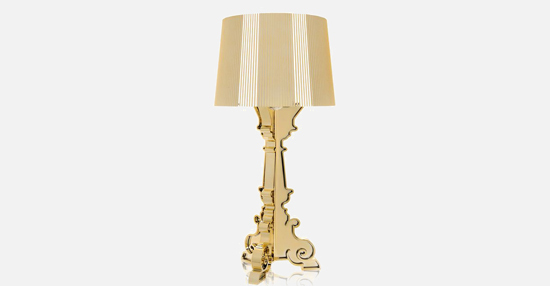 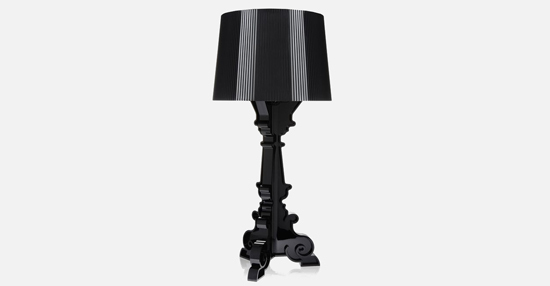 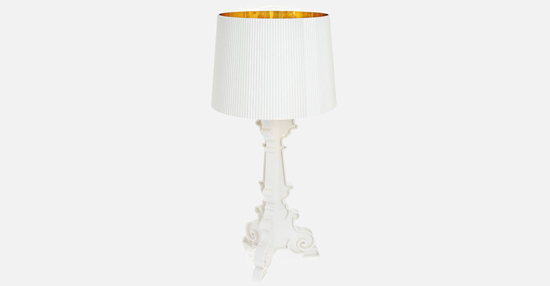 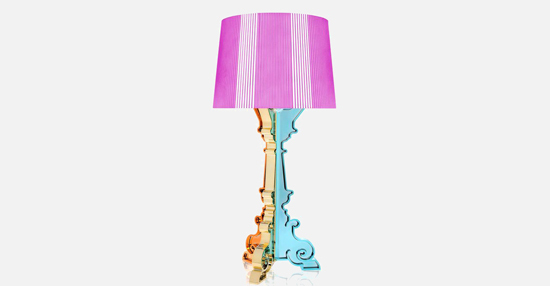 Bourgie becomes a gorgeous decorative desk or table lamp. 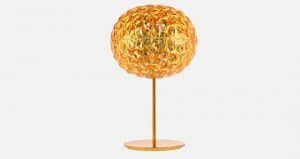 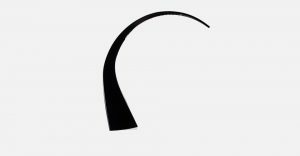 Thanks to its flexibility and strong communication value, it can be used on an side-table in the living room, to create atmosphere on your nightstand, as a standing sculpture or for reading. 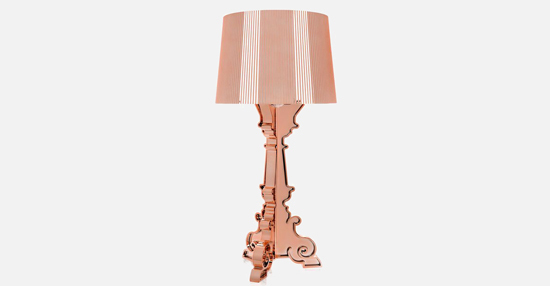 After the huge success of the transparent, black, gold, silver and white/gold versions, Kartell introduces surprising coloured frames, for those who want to flaunt their eclectic and unconventional nature, as well a totally new copper version. 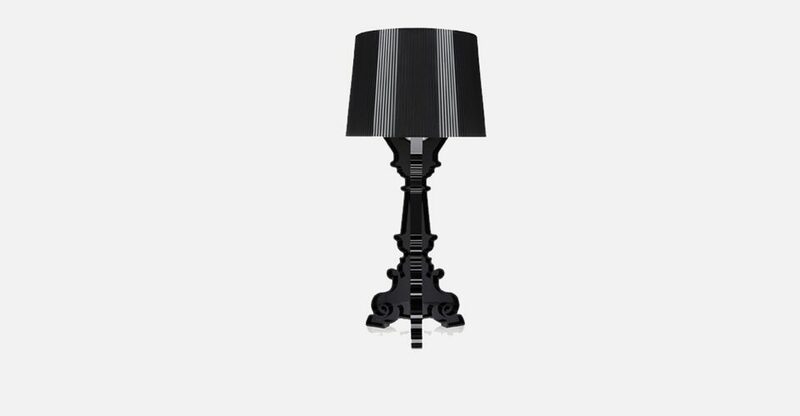 Prices differ on the type of colour.